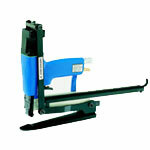 The Josef Kihlberg model JK35T590 series industrial stapler is designed for heavy duty corrugated boxes. 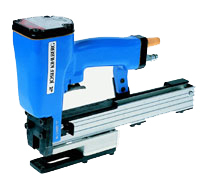 The 590 is available in two versions. 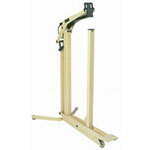 The first is used to fix corrugated board down to pallets. 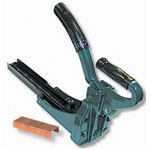 The second version is an very heavy duty plier stapler. 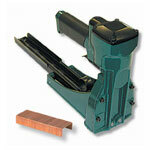 Capable of stapling tri-wall corrugated boxes make this tool well suited for a variety of special applications. 102216 Industrial Staples - Josef Kihlberg (JK) 590 Staples, 590-22, 7/8"
102218 Industrial Staples - Josef Kihlberg (JK) 590 Staples, 590-28, 1-1/8"
102215 Industrial Staples - Josef Kihlberg (JK) 590 Staples, 590-19, 3/4"
102217 Industrial Staples - Josef Kihlberg (JK) 590 Staples, 590-25, 1"
102219 Industrial Staples - Josef Kihlberg (JK) 590 Staples, 590-32, 1-1/4"